According to the National Highway Traffic Safety Administration, (NHTSA), car accidents occur every 10 seconds in the United States. Sadly, every 12 minutes, someone in the United States will die in a car crash. According to NHTSA, the leading cause of death among people age three to 33 is car accidents. When you take a look at the top three causes of all of these motor vehicle collisions, it’s easy to see that the greatest threat to drivers are the drivers themselves. Distracted: Distracted drivers are the leading cause of car accidents in the United States. From noisy kids to spilled drinks, drivers can face many different distractions in the car, but cell phones are by far the biggest killers. Using a cell phone while driving can drastically increase your risk of being involved in a motor vehicle collision. You are four times more likely to be involved in a motor vehicle collision when you are on your cell phone. The risk of having a collision is 23 times greater if you text while driving! As a result, many states like Washington have outlawed the use of cell phones while driving unless a hands-free device is used. Not surprisingly, drivers under age 20 represent the largest proportion of distracted drivers involved in fatal crashes. The recently enacted law has attracted national attention, and a recent Newsweek article claims the new Washington state law is the “nation’s strictest” when it comes to distracted driving laws. Speeding: The second leading cause of motor vehicle collisions is speeding. Speeding decreases the amount of time drivers have to react to hazardous conditions and increases the force involved in collisions. Speeding often accompanies other dangerous driving behaviors such as tailgating, failing to yield, aggressive driving, and unsafe lane changing. 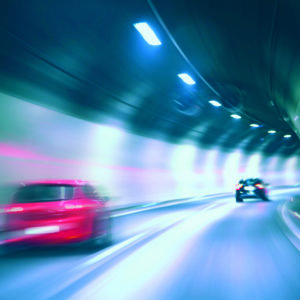 According to NHTSA, speeding is involved in about one of every three fatal motor vehicle collisions. Drunk: Finally, the third leading cause of motor vehicle collisions is driving under the influence of alcohol or drugs. Alcohol, narcotics, and some prescription drugs can reduce a driver’s coordination, concentration, and perception behind the wheel, and the injuries caused by impaired drivers can be devastating. Research has shown that crash severity increases with higher alcohol consumption. The Centers for Disease Control and Prevention reports that nearly 30 people die in motor vehicle collisions caused by alcohol-impaired drivers in the United States every day. In addition, up to 30 percent of all fatal motor vehicle collisions involve alcohol-impaired drivers. To remain safe on the road, we must all understand the causes of motor vehicle collisions so we can work to prevent them. Put down the cell phone, obey the posted speed limit, and use a designated driver if you are going to drink or smoke. We can all make our roads safer for one another and our families by following these simple rules. Contact us at Abeyta Nelson Injury Law to discuss your auto accident case with our experienced attorneys.